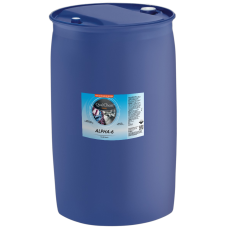 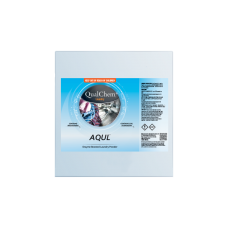 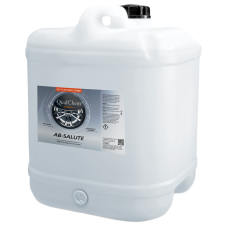 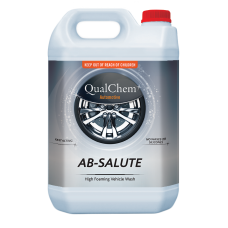 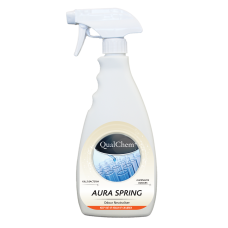 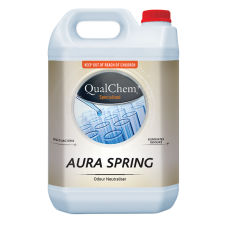 PRODUCT DESCRIPTION: QualChem AB-SALUTE is a fast acting, high foaming vehicle cleaner which effecti..
ALPHA-1 One Shot Detergent 200L is a clear highly built concentrated commercial liquid laundry deter..
ALPHA-1 One Shot Detergent 20L is a clear highly built concentrated commercial liquid laundry deterg..
ALPHA-1 One Shot Detergent 5L is a clear highly built concentrated commercial liquid laundry deterge..
ALPHA-2 Laundry Detergent 200L is a heavy-duty synthetic liquid laundry detergent formulated t..
ALPHA-2 Laundry Detergent 20L is a heavy-duty synthetic liquid laundry detergent formulated to..
ALPHA-2 Laundry Detergent 5L is a heavy-duty synthetic liquid laundry detergent formulated to ..
ALPHA-3 Alkali Booster 200L is a heavy-duty liquid alkali booster formulated to be used in conjuncti..
ALPHA-3 Alkali Booster 20L is a heavy-duty liquid alkali booster formulated to be used in conjunctio..
ALPHA-4 Fabric Softener 200L is a highly concentrated Fabric Softener formulated for use through an ..
ALPHA-4 Fabric Softener 20L is a highly concentrated Fabric Softener formulated for use through an a..
ALPHA-5 is a highly concentrated Liquid Sour formulated for use through an automatic dosing system. 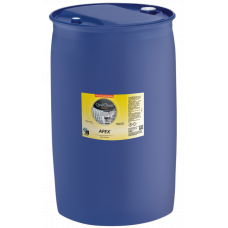 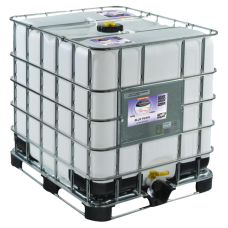 ..
ALPHA-5 Liquid Sour 200L is a highly concentrated Liquid Sour formulated for use through an automati..
ALPHA-5 Liquid Sour 20L is a highly concentrated Liquid Sour formulated for use through an automatic..
ALPHA-5 Liquid Sour 5L is a highly concentrated Liquid Sour formulated for use through an automatic ..
ALPHA-6 Liquid Bleach 200L is a highly concentrated Liquid Chlorine Bleach formulated for use throug..
ALPHA-6 Liquid Bleach 20L is a highly concentrated Liquid Chlorine Bleach formulated for use through..
ALPHA-7 Oxygen Bleach 25kg is a highly concentrated Oxygen Bleach formulated for use through an auto..
ALPHA 8 Fabric & Carpet Pre-spray 20L is a fabric pre-spray and traffic lane cleaner.PRODUCT FEA..
ALPHA 8 Fabric & Carpet Pre-spray 5L is a fabric pre-spray and traffic lane cleaner.PRODUCT FEAT..
ALPHA-9 Enzyme Boosted Pre-spray 20L is an enzyme based fabric prespray and traffic lane cleaner.PRO..
ALPHA-9 Enzyme Boosted Pre-spray 5L is an enzyme based fabric prespray and traffic lane cleaner.PROD..
AMMOSAN 200L is an opaque viscous liquid. 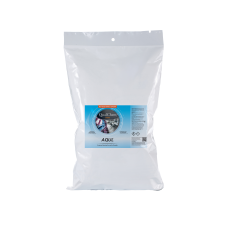 An all purpose, hard surface cleaner for commercial and in..
AMMOSAN 20L is an opaque viscous liquid. An all purpose, hard surface cleaner for commercial and ind..
AMMOSAN 5L is an opaque viscous liquid. An all purpose, hard surface cleaner for commercial and indu..
AMMOSAN PINE 5L is an opaque viscous liquid with a refreshing pine fragrance. 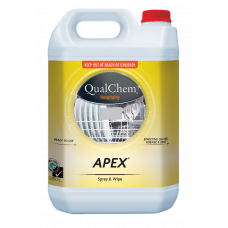 An all purpose, hard s..
APEX 200L is a clear blue, all purpose spray and wipe with a pleasant fragrance.PRODUCT FEATURESEffe..
APEX 20L is a clear blue, all purpose spray and wipe with a pleasant fragrance.PRODUCT FEATURESEffec..
APEX 500ml is a clear blue, all purpose spray and wipe with a pleasant fragrance.PRODUCT FEATURESEff..
APEX 5L is a clear blue, all purpose spray and wipe with a pleasant fragrance.PRODUCT FEATURESEffect..
AQUL Laundry Powder 10Kg is a white, free flowing, enzyme boosted concentrated commercial laundry po..
AQUL Laundry Powder 25Kg is a white, free flowing, enzyme boosted concentrated commercial laundry po..
AURA Floral 200L is a clear coloured, highly perfumed bactericidal air freshener, containing a combi..
AURA Floral 20L is a clear coloured, highly perfumed bactericidal air freshener, containing a combin..
AURA Floral 500ml is a clear coloured, highly perfumed bactericidal air freshener, containing a comb..
AURA Floral 5L is a clear coloured, highly perfumed bactericidal air freshener, containing a combina..
AURA Spring 200L is a clear coloured, highly perfumed bactericidal air freshener, containing a combi..
AURA Spring 20L is a clear coloured, highly perfumed bactericidal air freshener, containing a combin..
AURA Spring 500ml is a clear coloured, highly perfumed bactericidal air freshener, containing a comb..
AURA Spring 5L is a clear coloured, highly perfumed bactericidal air freshener, containing a combina..
AUTOSCRUB 200L is an orange liquid, foam controlled, hard surface cleaner, formulated for use in com..
AUTOSCRUB 20L is an orange liquid, foam controlled, hard surface cleaner, formulated for use in comm..
AUTOSCRUB 5L is an orange liquid, foam controlled, hard surface cleaner, formulated for use in comme.. 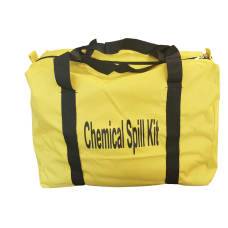 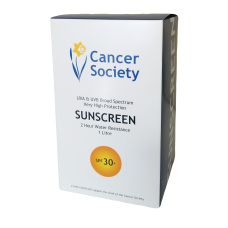 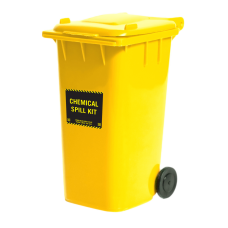 PRODUCT DESCRIPTION: When hands need protection against oils, grease, inks, dry powders, bitumen, wa..
BATHROOM CLEANER 200L is a non-toxic citric acid based daily maintenance cleaner for washrooms and b..
BATHROOM CLEANER 20L is a non-toxic citric acid based daily maintenance cleaner for washrooms and ba..
BATHROOM CLEANER 5L is a non-toxic citric acid based daily maintenance cleaner for washrooms and bat.. BETA KLEEN 200L is a powerful general purpose cleaner, disinfectant, deodoriser with a pleasant ling.. BETA KLEEN 20L is a powerful general purpose cleaner, disinfectant, deodoriser with a pleasant linge.. 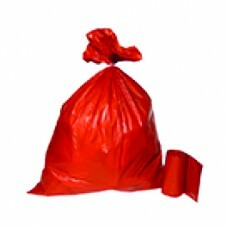 BETA KLEEN 5L is a powerful general purpose cleaner, disinfectant, deodoriser with a pleasant linger..
Red Infection Control Rubbish Bags used for containing infectious or potentially infectious substanc..
BLUE PEARL is a luxurious and fragrant shampoo designed to be used on hair and skin.PRODUCT FEATURES..
BOCARE DISINFECTANT 200L is a clear green, perfumed, mildly alkaline germicidal liquid disinfectant/..
BOCARE DISINFECTANT 20L is a clear green, perfumed, mildly alkaline germicidal liquid disinfectant/d..
BOCARE DISINFECTANT 5L is a clear green, perfumed, mildly alkaline germicidal liquid disinfectant/de..
BOWL KLEEN 200L is a blue viscous, mildly acidic, thickened toilet and urinal cleaner with a pleasa..
BOWL KLEEN 20L is a blue viscous, mildly acidic, thickened toilet and urinal cleaner with a pleasan..
BOWL KLEEN 5L is a blue viscous, mildly acidic, thickened toilet and urinal cleaner with a pleasant.. BUBBLE BATH is manufactured from natural oil based materials to clean and nourish the skin without d..
C-THRU 200L is an ammoniated clear blue alkaline window and glass cleaner, which produces outstandin..
C-THRU 20L is an ammoniated clear blue alkaline window and glass cleaner, which produces outstanding..
C-THRU 500ml is an ammoniated clear blue alkaline window and glass cleaner, which produces outstandi..
C-THRU 5L is an ammoniated clear blue alkaline window and glass cleaner, which produces outstanding ..
CELEST 200L is a viscous white pearlised hair and body wash/shampoo, with a refreshing musk fragranc..
CELEST 20L is a viscous white pearlised hair and body wash/shampoo, with a refreshing musk fragrance..
CHAMPION 200L is a clear red, alkali all purpose liquid cleaner containing a blend of surfactant, so..
CHAMPION 20L is a clear red, alkali all purpose liquid cleaner containing a blend of surfactant, sol..
CHAMPION 5L is a clear red, alkali all purpose liquid cleaner containing a blend of surfactant, solv..
QualChem Spill Kit 25L equips you with everything you need to clean up accidents when and where they..
QualChem Spill Kit 50L equips you with everything you need to clean up accidents when and where they..
QualChem Spill Kit 90L equips you with everything you need to clean up accidents when and where they..
CHLORINATED DETERGENT SANITISER 1000L is a clear yellow alkali chlorine based sanitiser.PRODUCT FEAT..
CHLORINATED DETERGENT SANITISER 200L is a clear yellow alkali chlorine based sanitiser.PRODUCT ..
CHLORINATED DETERGENT SANITISER 20L is a clear yellow alkali chlorine based sanitiser.PRODUCT F..
CHLORINATED DETERGENT SANITISER 5L is a clear yellow alkali chlorine based sanitiser.PRODUCT FE..
CHLOROTISER is a high foaming sanitiser designed for disinfectant and sanitising food processing pla..